May the 5th signifies the Mexican holiday of “Cinco De Mayo.” Cinco, however, is celebrated, not only just in Mexico, but also in the US as it’s unofficially recognized as a taco and tequilia inspired reason to for a fiesta filled with music, dancing, and drinking. When you think of the signature characteristics which go hand-in-hand with the holiday, the term “bat mitzvah” is hardly a subject to come to mind. Interestingly though, Gillman family who’s daughter, Izzy was scheduled to celebrate her bat mitzvah on May 5th, 2018 was inspired to incorporate the “Cinco” theme. 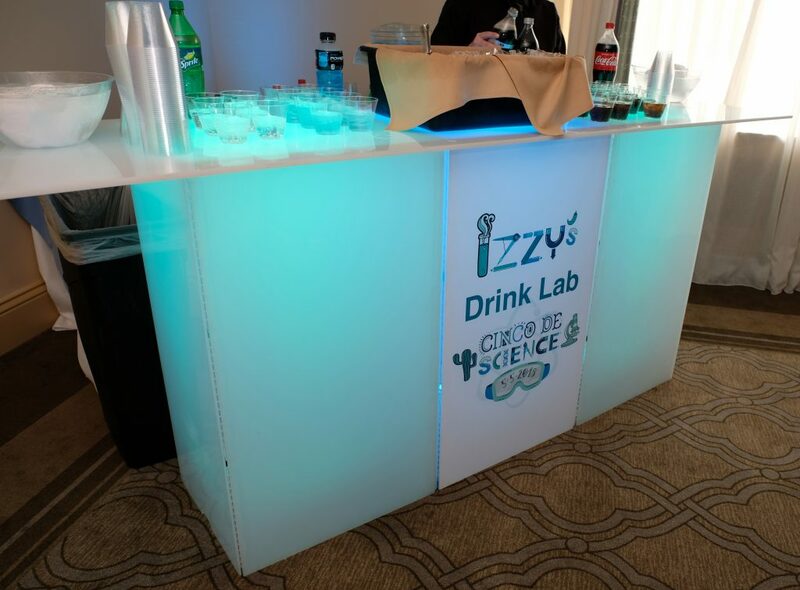 At an initial planning meeting with Xplosive Entertainment, (a NJ based DJ and event production firm specializing in bar & bat mitzvah entertainment), Jordan, the founder of Xplosive, was on a mission to get to know Izzy and see what makes her tick. At that meeting he learned Izzy was a huge science buff. 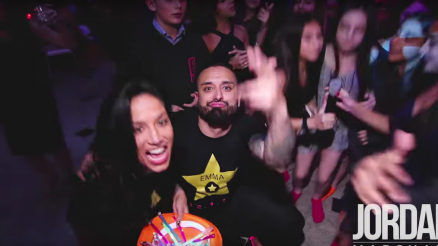 He was told that Izzy would much rather a unique party rather than a typical dancing geared high energy party. At that moment, the concept “Cinco De Science” was born! This simcha (a term used for a Jewish celebration) was held at the Shackamaxon Country Club in Scotch Plains NJ . Right from the beginning of cocktail hour the Xplosive team engaged Izzy and her friends in competitive challenges such as “Giant Jenga” and “Human Hungry, Hungry Hippos.” The goal was to break the ice and get the kids to start thinking about teamwork and strategy. 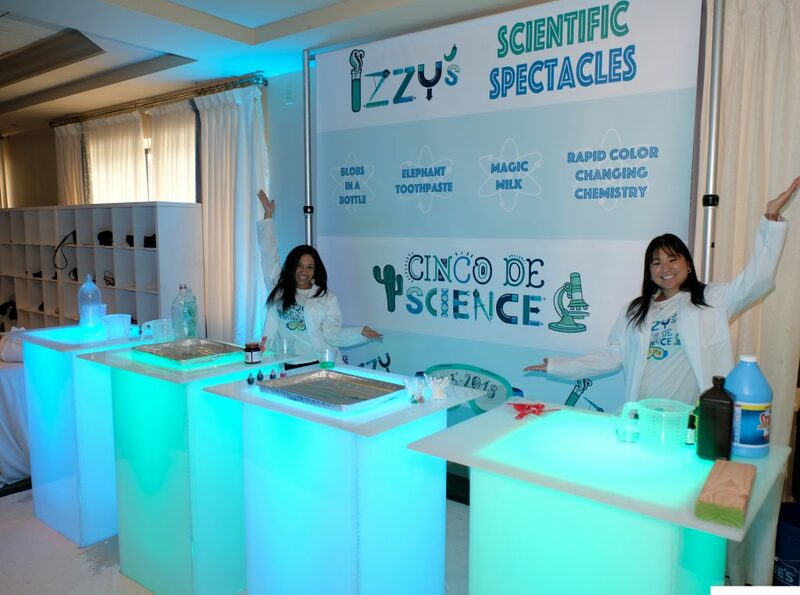 Once the cocktail hour ended, all of the guests were brought into the main event space which was illuminated in teal blue and light green to match Izzy’s “Cinco de Science” logo and color scheme. Traditional party formalities took place, but what made this party special was the unique touches brought to life. On each end of the room a signature Xplosive event enhancement could be found for guests to participate in. 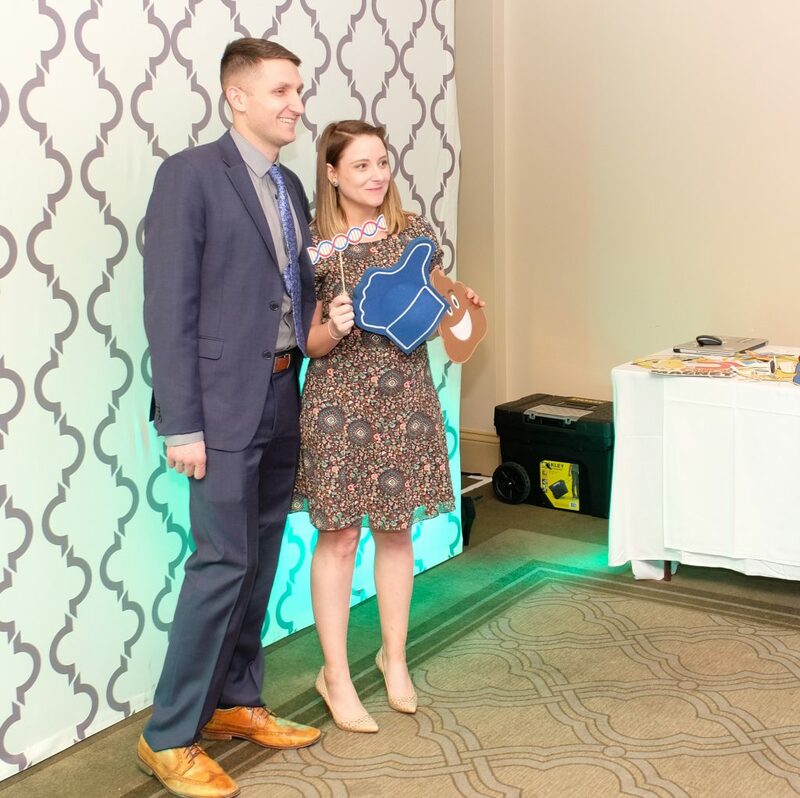 One side of the room had Xplosive’s crowd favorite, Freestyle Photo Station, where guests could capture the excitement of the event in a logo’d print to take home. 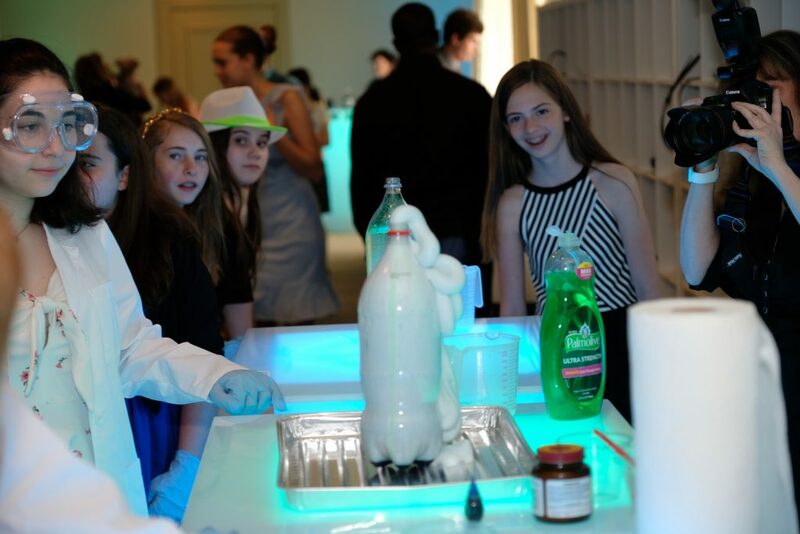 Toward the back of the main room, the kids and adults were able to step up and participate in a station created by Xplosive called “Izzy’s Scientific Spectacles.” This station allowed the kids to create safe and exciting chemical reactions by using simple household products. Lab coats, goggles, and rubber gloves were provided so that the various experiments could be carried out in a fun and authentic, yet cautious manner. The creativity that was channeled for this event was nothing less than outstanding and the joint team effort of all the vendors involved really helped to take it over the top! Xplosive Entertainment believes that bar and bat mitzvah’ celebrations do not always have to consist of non-stop loud music and dancing. 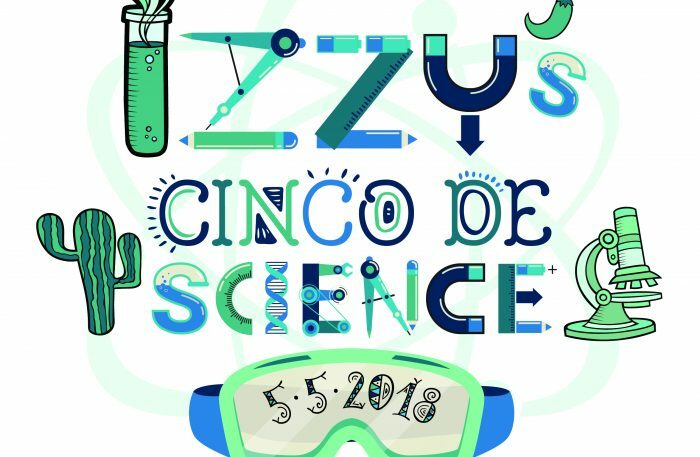 With a creative approach and careful thought towards the timeline and execution of this unique concept, Izzy’s Cinco De Science party, was a perfect example of that. Never be afraid to think outside of the box or to take a “left turn” as we say here at Xplosive Entertainment. Test Tubes and Taco’s definitely reigned supreme for the Gillman’s! MAZEL TOV!